Waiting for Miss Monroe: Act I (Workday): Scene 2: Yes? Waiting for Miss Monroe: Act I (Workday): Scene 3: Can I speak to Paula for a moment, please? Waiting for Miss Monroe: Act I (Workday): Scene 3: Action! Waiting for Miss Monroe: Act I (Workday): Scene 3: Cut! Waiting for Miss Monroe: Act II (Birthday): Is the President here? Waiting for Miss Monroe: Act II (Birthday): You're fired! Waiting for Miss Monroe: Act III (Deathday): Scene 2: Who's speaking? 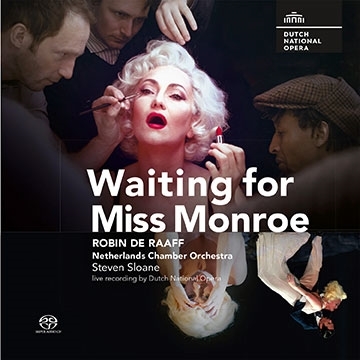 Waiting for Miss Monroe: Act III (Deathday): Scene 3: Was it goodbye?